Being a technical specialist is very challenging and demanding, as it requires attention to details, concentration, strong skills and many years of experience in the field. That is why entering the market of technical jobs or trying to find a better position is quite a difficult task. Everything starts with completing a tech resume, as you need to make it as professional and catchy, as possible. The hiring manager should want to see who is behind the resume and invite you over for an interview, neglecting hundreds of other candidates. Health technicians and much more. If you want to prove that you are the best candidate and to write the technical resume everyone will remember, go on reading to find out all the details. Although there are many positions, which a technical specialist can occupy, there is a common pattern of a resume format and content. This greatly simplifies the process and mastering all of the sections will help you to write the best CV and find a tech job of your dreams. Your resume should consist of the following sections. Although this section comes first in our list, it is not compulsory and should be completed only if you have something to say beyond your resume. It should be a short technical summary of your experience and personality to encourage the manager to read your CV. Start with providing the reader with your name, a contact number and an email if necessary. You can use various fonts and colors to make your CV remarkable. Although you shouldn’t forget about good taste and moderation. If you have just graduated college and don’t have enough experience, you can write a few sentences about the main objectives you want to reach and learn at the company. Show the employee that you are craving to enter their company and contribute to its development, improving your own skills. Here you need to concentrate on your strengths or skills. A great solution will be to describe the technical projects you have worked on, your own inventions, publications and so on. If you still don’t have any achievements in the field, don’t worry. Simply omit this section and proceed with your background. Provide the employee with information on the college or other training programs you have completed. Write your specialty, topic of the dissertation and other details, relevant for the subject. Make a list of licenses, which prove that you are ready to work with certain programs and applications. This section is very valuable, as it allows the hiring manager to see that you have practical experience, not just a diploma or a degree. Even if it is from one of the best colleges in the country. Use a reverse chronological order to tell about your experience in the world of technologies. To be brief and save time of the employee, you can make a list and simply use the best keywords to reflect all the responsibilities you had to complete. In case you don’t have enough experience, you can use a functional format and highlight your strengths, skills and achievements. If you doubt whether you are able to create a strong resume, you can search for technical resume samples online. 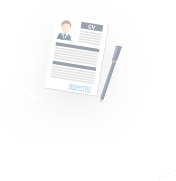 It is a great way to find new ideas and tailor your own CV according to widely accepted patterns. Tech is famously one of the most challenging fields not only to work for, but also to write resumes. You can’t simply use words to describe your worth as a candidate, as you would do with most other professions. Tech recruiters are looking for exact numbers and keywords to measure your accomplishments at previous jobs. If you’re not sure how to go about writing your resume in the tech field, a technical resume example is exactly what you need. Our writers have created practical tech resumes samples for one simple purpose: to allow tech specialists to deliver the exact resume recruiters are looking for. Use this tech resume example to find your ideal job! If you still doubt whether writing a technical resume is a task you can complete on your own, it is very simple to contact our writing company and forget about all the stress. There are many resume services but they can hardly boast as many years of experience, as we have. Entrusting your CV to us will guarantee your success on the career market and will help to change your life for the better. 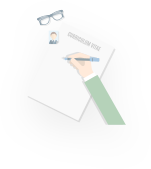 Hire a technical resume writer and create an outstanding CV, which will reflect your technical skills, personal achievements and show all of your strong sides.